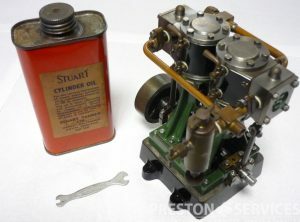 A very nice vintage example of Stuart D10. 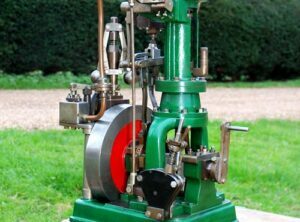 Suitable for either stationary or marine use, or static display, these engines can operate at speeds of up to 2000 rpm. 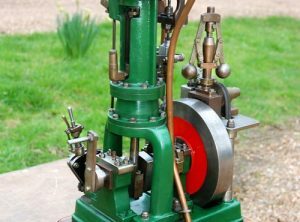 A German made vertical reversing steam engine, set up as a stationary engine with governor mechanism, but could also be used in a steam boat. 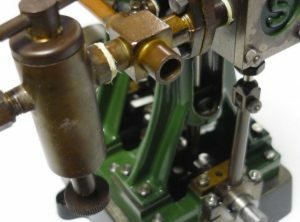 A very nicely made and attractive little engine. 23″ high overall including wooden base.